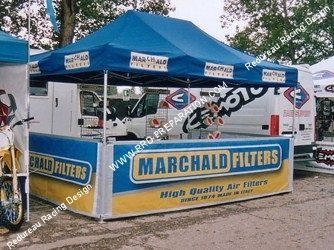 Brand specialized in filtration and air filters. Italian brand specialized in filtration and air filters motorized vehicles. Like many other leading brands in the filter elements, the Italian brand has made ​​himself a place in the market and offers a wide range of products in its catalog! The company is a leading producer of engine air filters for more 30 years, for both the first original equipment and equipment for racing and always for customers who want high quality made ​​in Italy. 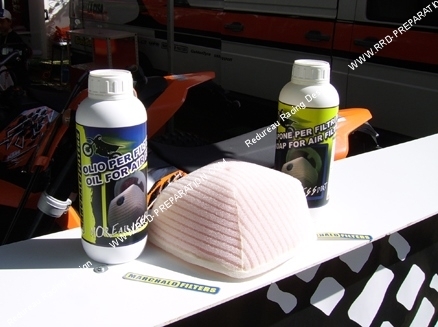 The company was formed in 1974 to manufacture air filters engine, both to fit the original equipment and for the races, always for customers who want high-quality products made ​​in Italy. Each filter is tested out road and technology that is to say, an environment where engine performance and components are placed under stress. This is why our filtration components are effective in all application areas and always offer the high quality filters that MARCHALD gives motocross and enduro world championship.